We have 50 exciting things to do with kids in Kent, for all ages and at any time of year. 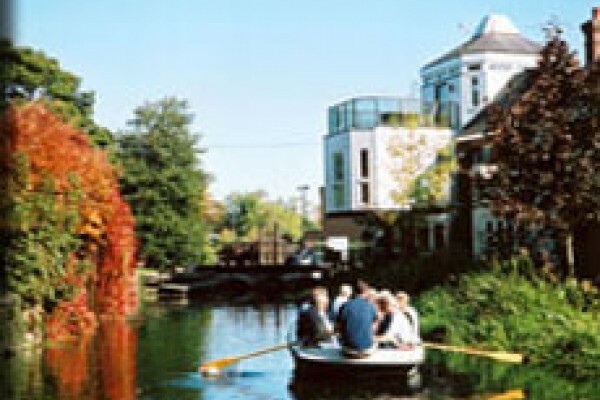 Escape the hustle and bustle of city life at the relaxing Westgate Gardens in Canterbury. Go tenpin bowling with your kids, family and friends at this great centre in Tunbridge Wells at Bowlplex. Lots of things to do and we can arrange great birthday parties for your kids! Just the place for time out with kids with lots of things to do for the family. You should check it out! Visit this great leisure centre in Margate for swimming and many more activities. Enjoy a steam train journey for 10.5 miles, through the unspoilt countryside of the Rother Valley, to terminate in the shadow of the magnificent castle at Bodiam. Get back to nature in Kent! Pegwell Bay Country Park is a great place to explore nature that is unique to the South East of England. Kids will love playing and exploring this beautiful country park. Find out all about this great activity centre which is ideal for youth groups and a great idea for school trips. A dedicated indoor climbing facility for both children and adults of all abilities. Safe and Fun. Nestled in the beautiful rural Kent countryside and located in a 6 acre nature trail on old nursery land at Coolings Green and Pleasant, a day at Willows Bird of Prey Centre is sure to leave you full of lasting memories and smiles all round. Great fun for all the family at our Escape Rooms attraction in Margate, just another idea from Kids Days Out for things to do. If you are looking for a free attraction or place to visit in Kent this might be it. The whole family can enjoy swimming at this well equipped leisure centre in Canterbury Kent. The Tunbridge Wells Museum is a great place for kids to learn about the local history. It is also ideal for school trips. Northdown Park, Margate, Kent is a fantastic destination for a realxing family adventure. There is a childrens play area, as well as more open areas of space for kids to play in! Explore 90 acres of ancient parkland, beautifully preserved for the conservation of some of the world’s most endangered species. October Half Term Survival Days At Swanley Park. Come along and try our new Survival Activities at Swanley Park this October Half Term. 12 places available for each session. Lots here to see with regular events for the whole family. This is the exciting story of the Corps of Royal Engineers. see their innovation & creativity including tanks, torpedoes, bridges. Lively, roomy and relaxed with an extensive menu, the Poachers Pocket offers a great place to stop and refuel when visiting the attractions around Chatham. An indoor climbing arena where adults and kids can enjoy some healthy action packed fun. The centre has 33 climbing challenges of varying design and difficulty. A destination at every station! Enjoy a wonderful ride through the High Weald countryside on Tunbridge Wells' heritage railway with steam or heritage diesel trains! Port Lympne Reserve is one of the UK’s biggest wild animal parks, offering exciting days out in Kent with discovery for the entire family. Discover Roman Canterbury at this family friendly museum. Take a look at our great day out! Junior Driving Days are fun, unforgettable experiences. For children of 11 yrs & 1.4m tall & above. These sessions run on specific weekdays throughout the school holidays. Mote Park is a great place to walk, play and have fun with the family. Enjoy 450 acres of parkland. Kids will enjoy the two play areas. 300 years of military history, underground passage ways and ghosts! Fort Amherst is Britain's largest Napoleonic fortress and provides a fun and fascinating day out for the whole family. Pirate Cove Adventure Park offers family fun. 36 holes of adventure golf, pedaloes, adventure playground, zip wire, Adventure Trail, remote control 4x4s and galleons and much more! 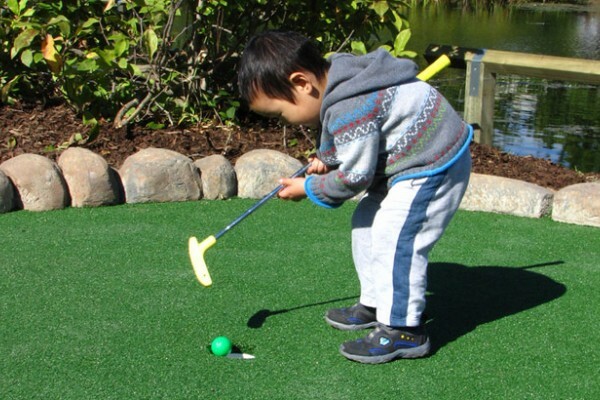 Stokes Adventure Golf is an 18 hole minigolf course in Margate overlooking Westbrook Bay in Margate. Perfect for a family friendly game!